I am really trying to be enthusiastic about the holidays this year. On November 30, 2011 Eddie and I signed our final divorce papers and I was just emerging from a bout with cervical cancer. The complicated and conflicting emotions involved included being grateful for my life while wondering what on earth I was going to do with the rest of it. I was at a loss and that pretty much sapped my close-of-2011 energy. I was lonely, depressed, afraid and reclusive. I sat out December altogether and spent a low-key New Year’s Eve with close friends. 2012 has had its ups and downs but by and large, I am healthier and more whole than I can ever remember. The cancer is in remission, memories of an unhappy marriage began to recede and occupy their rightful, proportionate place. I grew professionally as I settled into a day job as the head writer for a housewares company, formulated new and interesting friendships, even took a couple shots at romance again. As the record currently stands, these forays into attachment did not end happily, but there was a time I believed I could never risk my heart. So there’s a simple pride in having put myself out there. More than five weeks ago, as regular readers of this blog are aware, L’il Red (my beloved bike) and I were involved in a somewhat hellacious accident involving an unwise yellow-light decision and a moving SUV. I was thrown from the bicycle, landing squarely on my tailbone and sacrum (the base of the spine) in the process. Both of these bones are fractured but despite the weeks of discomfort behind me as well as the months of recovery ahead, I know it could have been much worse. And dammit, I like to think of myself as a tough gal but continuous pain, drug side effects and the limiting of my range of motion are conspiring to upend this self-image. I hurt without medication. I struggle to eat and sleep when taking it. And no matter the state of physical discomfort, the holiday season is here to make me feel more pathetic and alone than I might otherwise. 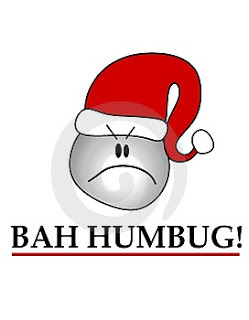 It’s frustrating because I was bloody determined not to be a humbug this year. I have a pre-lit Christmas tree in my living room, a gift from the most recent boyfriend. When I find myself in the throes of pain, or sleepless from its relief, I turn on the four foot tall symbol of holiday cheer. Admittedly is is tougher to scowl when surrounded by glittering lights, but this kind of reminds me of those lamps doctors recommend to patients with Seasonal Affective Disorder. The light takes the edge off but it’s no real substitute for the sun you know? Likewise the flickering tannenbaum brings a fleeting comfort but it doesn’t replace the real sense of belonging, togetherness and celebration that the holiday season portends, and for which I yearn. I’m writing about these feelings because I wish to master them. Know thine enemy and all that. I feel myself slipping into the usual Christmas despondency and the hope is that by recognizing it, I can hold it at bay. Growing up the eldest child of abusive and neglectful parents, the 12 Days of Christmas usually involved a rundown of why I didn’t deserve the blessings bestowed and what I had done to disappoint my progenitors throughout the calendar year. I am 34 years-old now. I don’t need or deserve to hear these voices this year – from my lips or anyone else’s.